When joining an online community, users most likely to check for updates around them and their relationships. phpFox provides an easy way to quickly catch up with updates relating to a user with the Notifications feature. Once the new friend requests come to your users, they will see it immediately at top notification. If your users have new messages from the other ones, the red alert will be displayed to remind your users about this. 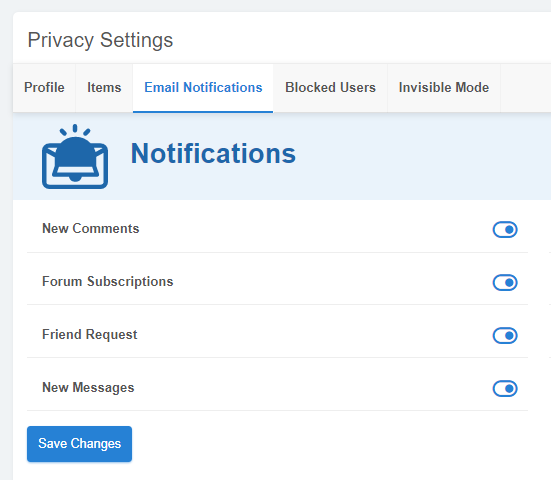 These notifications will update to your users all new activities related to them.